"It has long been true that California on its own would rank as one of the biggest economies of the world. These days, it would rank eighth, falling between Italy and Brazil on a nominal exchange-rate basis. 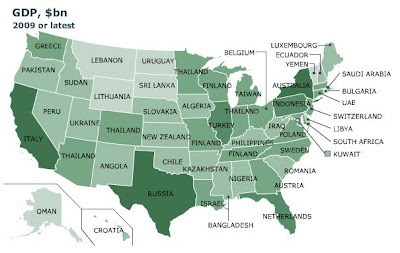 But how do other American states compare with other countries?" That hits hard. I'm going to borrow this if you don't mind.